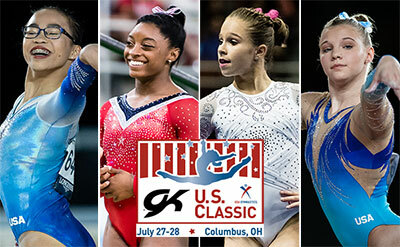 INDIANAPOLIS, July 16, 2018 – The senior field for the 2018 GK U.S. Classic, scheduled for July 28 at the Schottenstein Center in Columbus, Ohio, features several World, Olympic and U.S. champions and medalists. 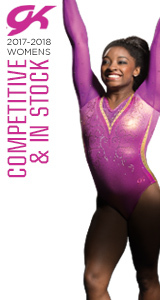 Among those expected to compete are reigning World all-around champion Morgan Hurd of Middletown, Del./First State Gymnastics, Olympic all-around champion Simone Biles of Spring, Texas/World Champions Centre, and U.S. all-around champion and 2016 Olympic alternate Ragan Smith of Lewisville, Texas/Texas Dreams Gymnastics, along with 2017 World vault and floor exercise silver-medalist Jade Carey of Phoenix, Ariz./Arizona Sunrays. The GK U.S. Classic is the last opportunity for female gymnasts to qualify for the 2018 U.S. Championships, the national championships for men’s and women’s gymnastics. Gymnasts who have already qualified to nationals use the GK U.S. Classic as a final tune-up for the U.S. Gymnastics Championships. The Schottenstein Center, in partnership with the Greater Columbus Sports Commission, is playing host to two events. On Saturday, July 28, the GK U.S. Classic has athletes competing on the junior level at 1:30 p.m. ET and the senior level at 7:30 p.m. ET. The GK Hopes Championships, which features young, aspiring female gymnasts who are just below the elite level, is slated for July 27 at 2:30 p.m. ET. 2018 Hopes Classic all-around champions Ava San Jose of Chatsworth, Calif./Paramount Elite Gymnastics (10-11-year-old division) and Mya Witte of Greenacres, Fla./Genie's Gymnastics (12-13-year-old division), headline the field for the GK Hopes Championships. The GK Hopes Championships has two age groups, 10-11 year-olds and 12-13 year-olds. The top 18 from each age group at the Hopes Classic qualify to the GK Hopes Championships, assuming each athlete achieves a minimum qualifying score. The GK Hopes Championships is the culmination of the Hopes season.